Interview of Mr. Mohit Khandelwal : Advocate Rajasthan High Court. Comments Off on Interview of Mr. Mohit Khandelwal : Advocate Rajasthan High Court. his journey with wins in several prestigious corporate law moots in India which includes moots like NUJS-HSF Moot Court Competition, Anti-trust Law Moot Court Competition, and NLU-D Insolvency Law Moot Court Competition. He has been awarded Corporate Lawyer of the Year Award, 2015 by the Institute of Company Secretaries and has also got his articles published in several reputed law journals. After creating several stories of success during the law school, he has recently started his legal practice as an Advocate in Rajasthan High Court, Jaipur and is all set to continue his journey of success. Let discuss various aspects of the legal profession and law school with him. Hi Manish….I completely agree with you that I have a keen interest in business laws and I have been deeply engaged in studying business laws during my law school. But I believe interest in corporate laws and joining a corporate firm are two separate things. 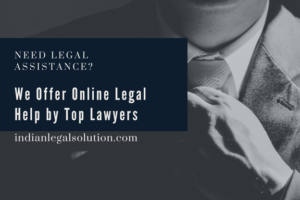 Most of the corporate jobs involve long hours of desk job, restriction to a particular area of law and most importantly, less opportunity to appear in court. On the other hand, litigation involves an understanding of diverse areas of law, more focus on the application of the law in the realtime situation and most importantly, the skill to convince the judge and the client. Though I have got the opportunity to work with several good law firms but litigation has always attracted my focus. 2. You have done additional courses and diplomas during your time at law school. during their time at college? particular area of practice, then he must consider pursuing some additional courses to gain expertise in that field. areas of your expertise as you feel like? are much more than a moot court but I must say that it gives you a trailer of what you are going to face in the real court. 4. What is your advice to all the students and what is your SUCCESS MANTRA? I believe that if one has an unconquerable will to win, then come what may, his/her hard work will fructify in success. In a career like law, especially for those who wish to pursue litigation, perseverance and resilience are the most important tools. Thus, in my belief, hard work, confidence, humility, and a curiosity to learn coupled with perseverance, resilience and unconquerable will to win is the key to success. articles. I also accept that winning a moot might at times depend on luck but the publication of a research article is entirely dependent on the quality of an article. Also, research articles are equally important to secure a placement or for pursuing masters from any prominent law school. difficult it is to start legal practice and what is your area of expertise? I specialize in matters relating to company law, insolvency and corporate crimes. I have to admit that when it comes to legal practice initial years would always bring up a lot of challenges and hurdles, however, the success is entirely dependent on the perspective of the lawyer. Good command of law can help a young lawyer to get success in the shorter span of time. Interview By: Mr. Manish Goyal, CNLU Patna.